for Breast Cancer Awareness month! in each and every project this month. 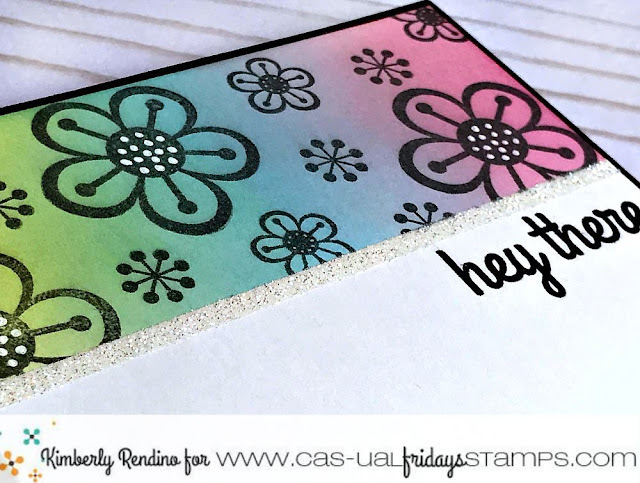 created a really cute one layer card for you today. and stamped the flowers from Girlfriend in black. for a little pop of sparkle. This set and lots more are in our Sale section this week! 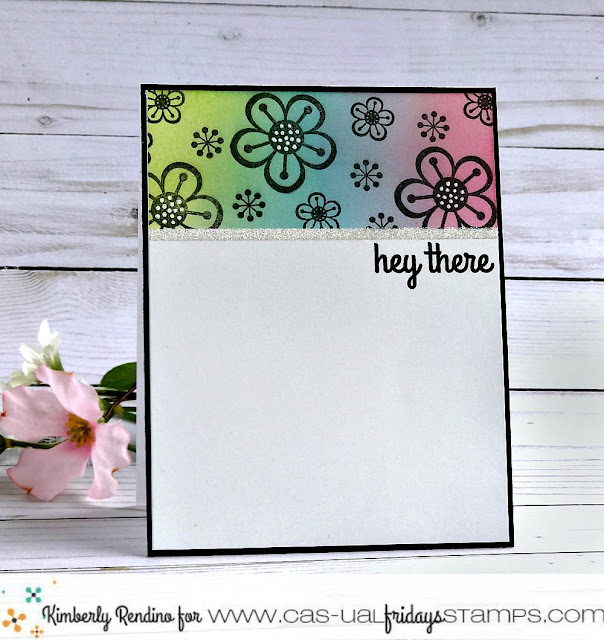 Such pretty colors and the strip of glitter makes everything really POP! Perfect CAS card, love it! I love, love, love this card! Love all the white space, I struggle with white space, but this I could do. Thanks for the inspiration!